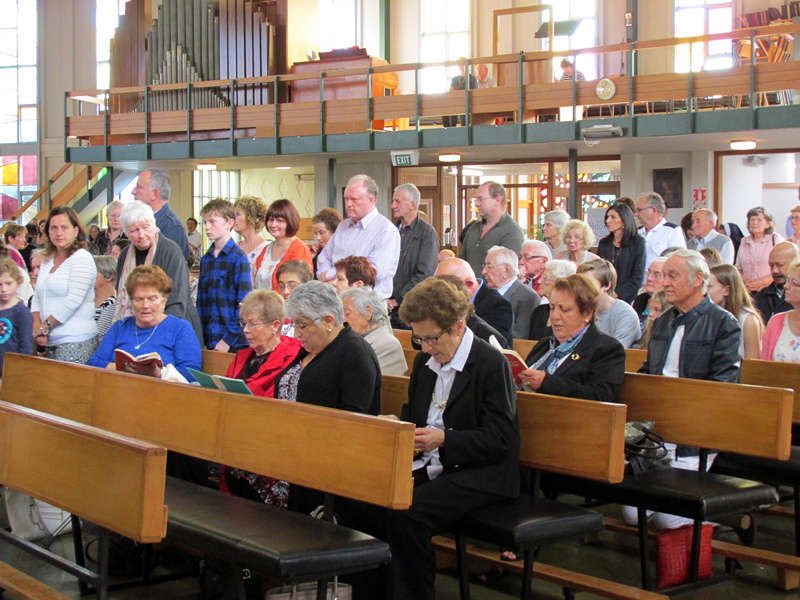 Parishioners were privileged to be able to mark Fathers Day in a very special way this year. 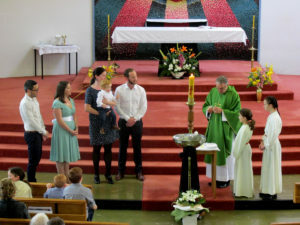 with a Baptism as part of our Mass celebration. The Council continues to focus on themes of communication and connection. The need for robust communication systems in the parish has been identified and is being worked on. The Archdiocesan Stewardship day proposed for September has been postponed to early 2017. The Council is looking at the best way to incorporate this day into the planning period for the Parish so that we get the most out of it. 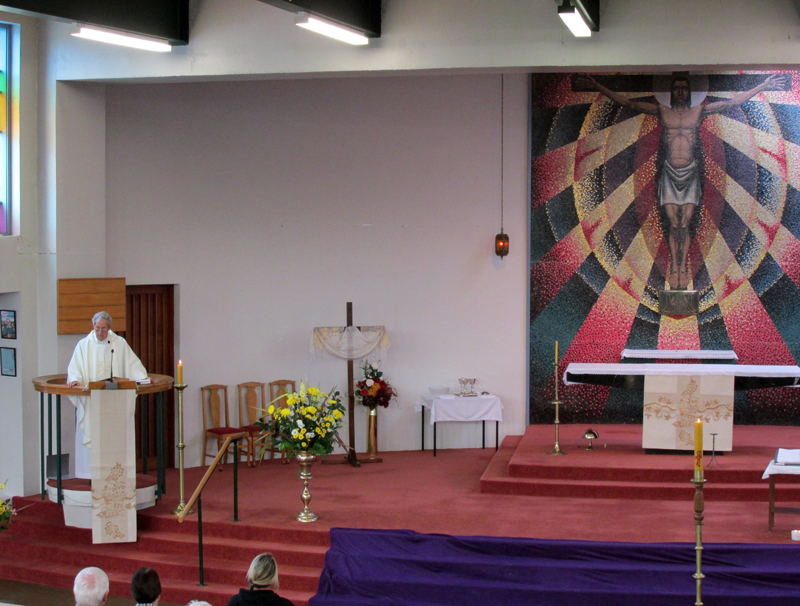 Work has begun on forming a process to consult throughout our Parish on changes to our Sunday Mass times. A complete proposal on the process is due at the next Council meeting on 27 September and we will be able to provide more details then. The Council has agreed that the process will include discernment, where we pray and reflect and where the voices of all can be heard. 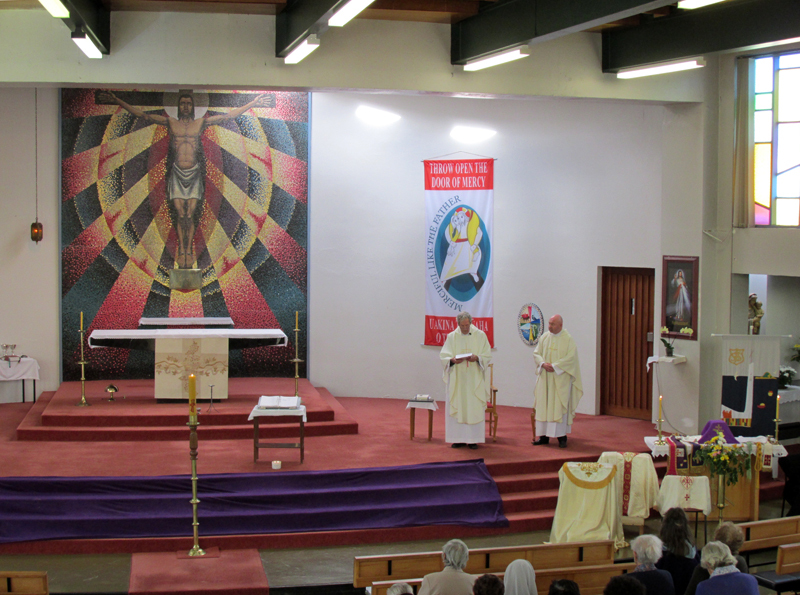 At the completion of the process, recommendations on our Parish Mass times will be made to Cardinal John for his decision. Lesley Hooper stood down from the Chairperson role. 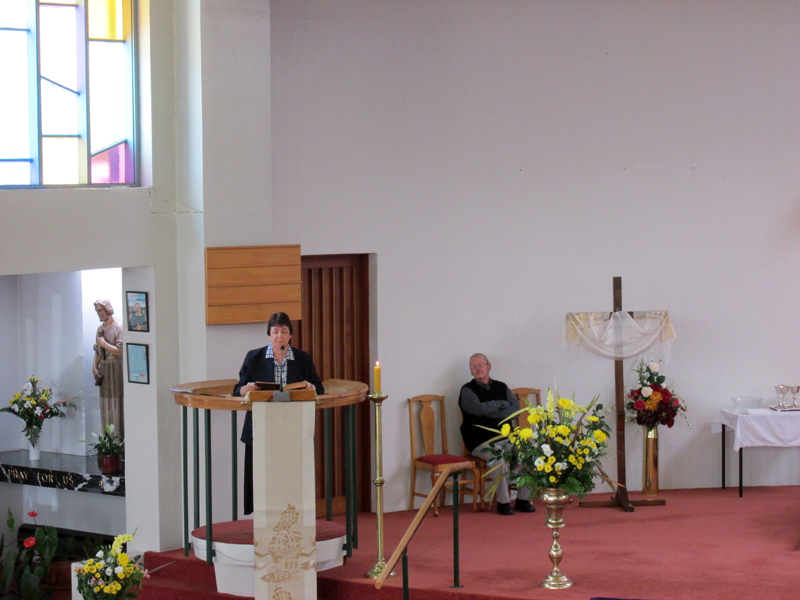 Lesley’s leadership through the Transition period, her commitment to the Vision of the Parish and, in the spirit of Pope Francis, always encouraging us to look outward, were acknowledged. Stephen Neal and Deirdre Hanlon will co-chair the Council. 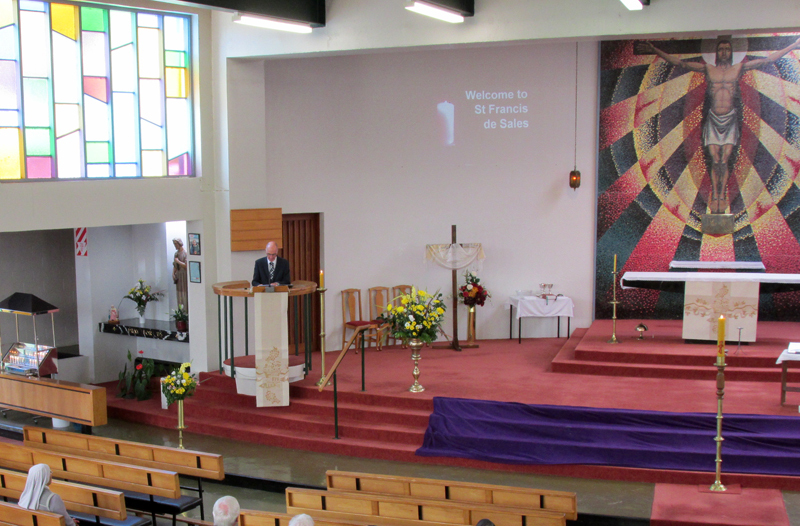 St Francis de Sales Church, 14 August 2016. 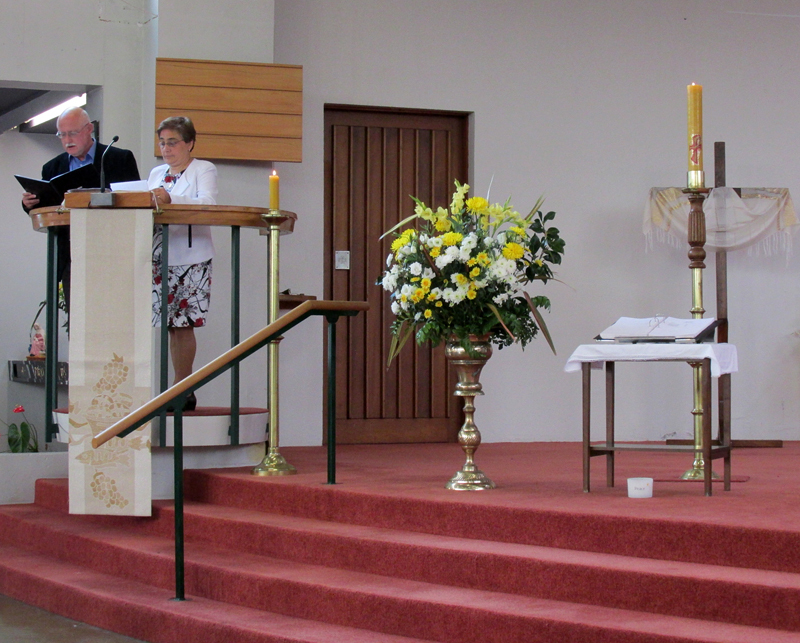 The children led the liturgy for the Mass of the Feast of the Assumption of the Blessed Virgin Mary. 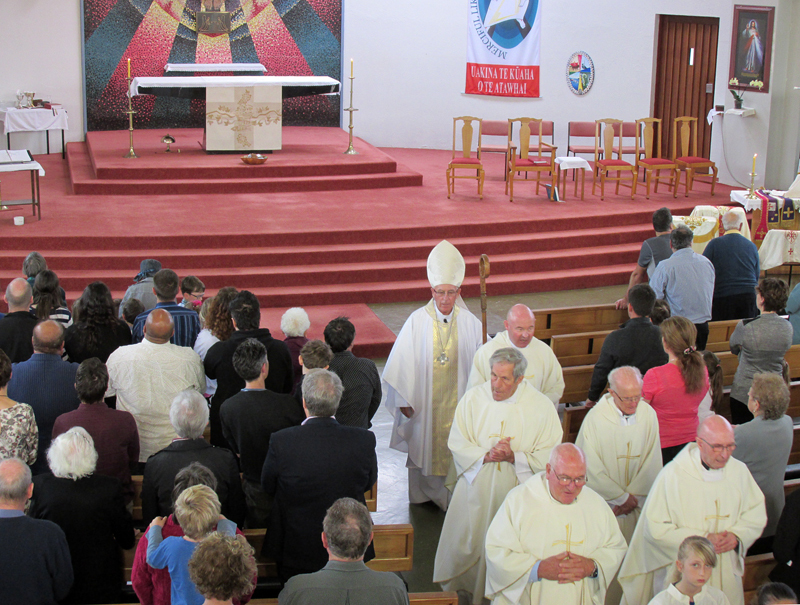 A strategic plan to fulfill our Parish vision is the Council’s focus. This will take time and is likely to be formed in stages. 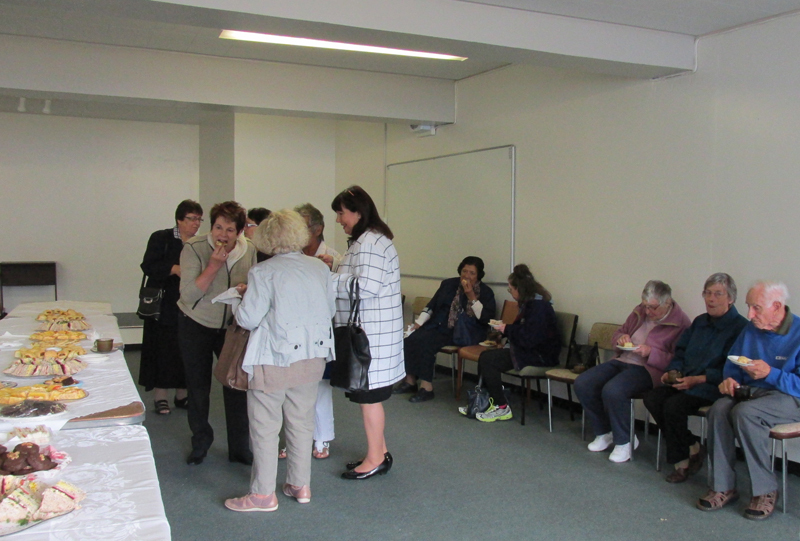 At a Council formation day in early July the Council explored themes of Communication and Connection tied to the Vision. Our discernment process last year has given the Council a richness to draw from. 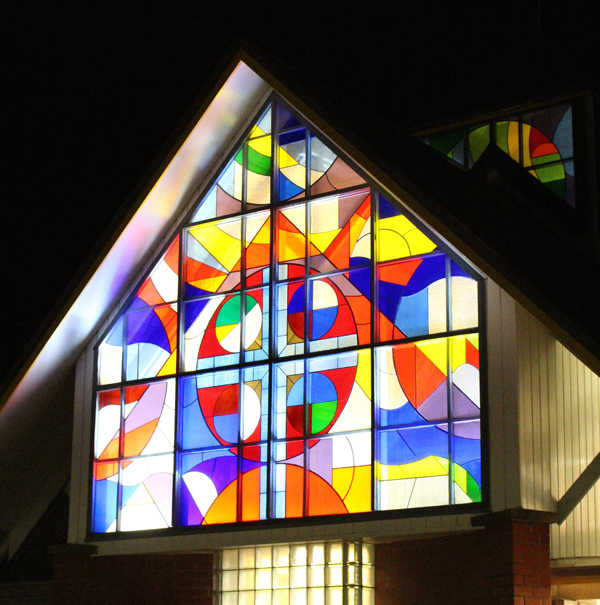 A subcommittee was tasked with developing a process for consulting with the Parish about changes to Mass times. 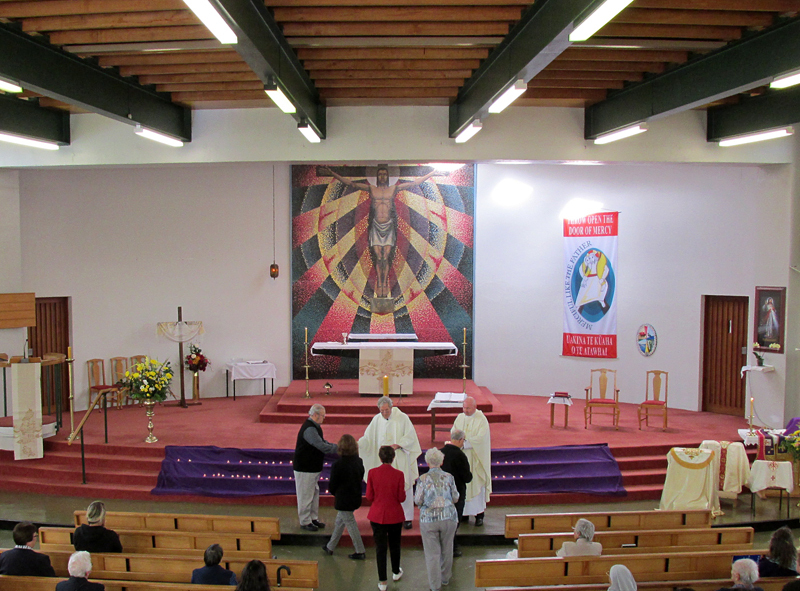 In the six months since the inauguration of the new Parish, existing Mass times have been maintained. 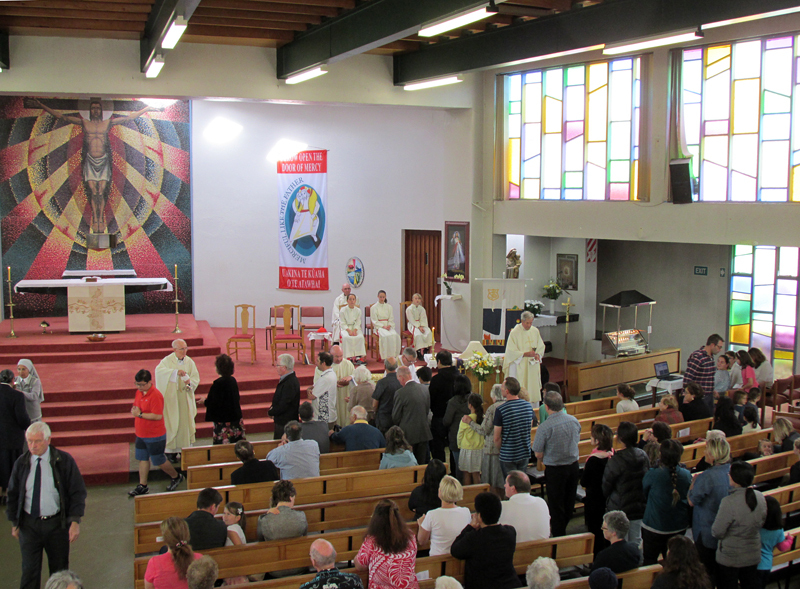 But with two priests assigned to the Parish and several Masses occurring around the same time, this is difficult to sustain. Our vision, a number of canonical requirements, and Archdiocesan principles will inform our consultation. 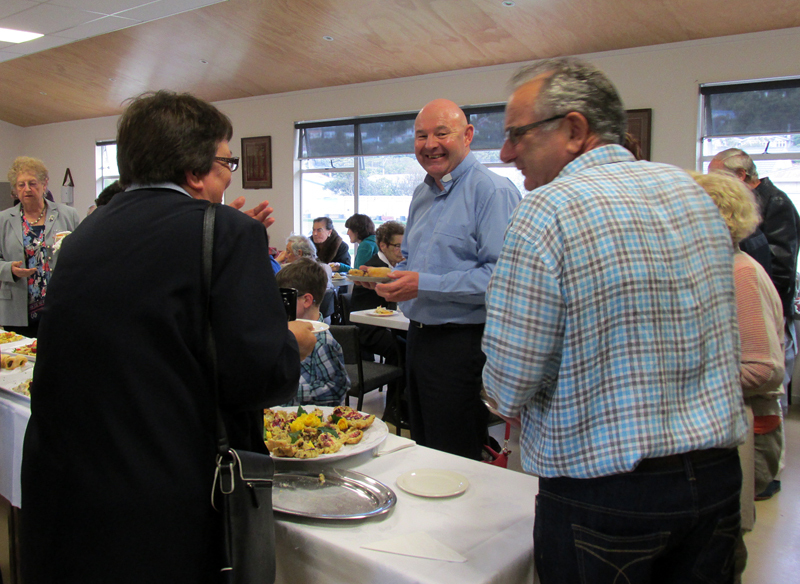 We are grateful for the continuing support of our Marist priests who will be included in the process. A chairperson for the Council will be discerned at the August meeting after an initial period where Lesley Hooper continued from the Transition Team as interim chairperson. The Council agreed that the group which coordinated the Suzanne Aubert birthday celebrations should form a plan for further activities. Liturgy Committees will be asked to work together on how resources for Social Justice Week (11-17 September) can be used consistently across the Parish. 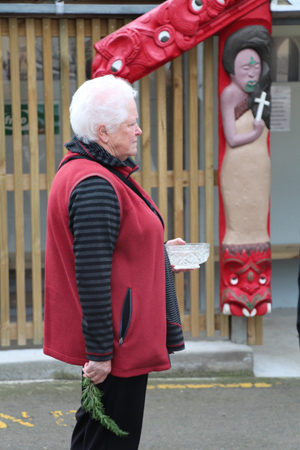 A Little Company of Mary sister who has been involved with the hospice movement in New Zealand since the 1980s has been awarded the Queens Service Medal. 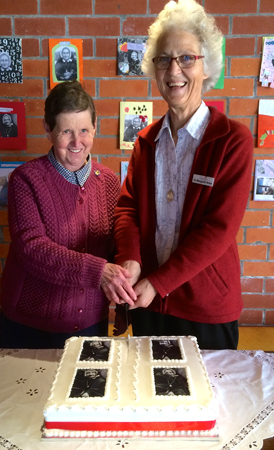 Sr Mary Scanlon, LCM, of Wellington, received the award in the Queen’s Birthday Honours. She was appointed as the Mary Potter Hospice education officer in Wellington in 1986 and coordinated terminal care education programmes for hospice staff at Calvary Hospital. She later took on the role of principal nurse and helped guide major changes for the hospice, including the building of a new hospice in Newtown and setting up the Mary Potter Hospice Trust. In the late 1980s she was instrumental in introducing care for those suffering from Aids. 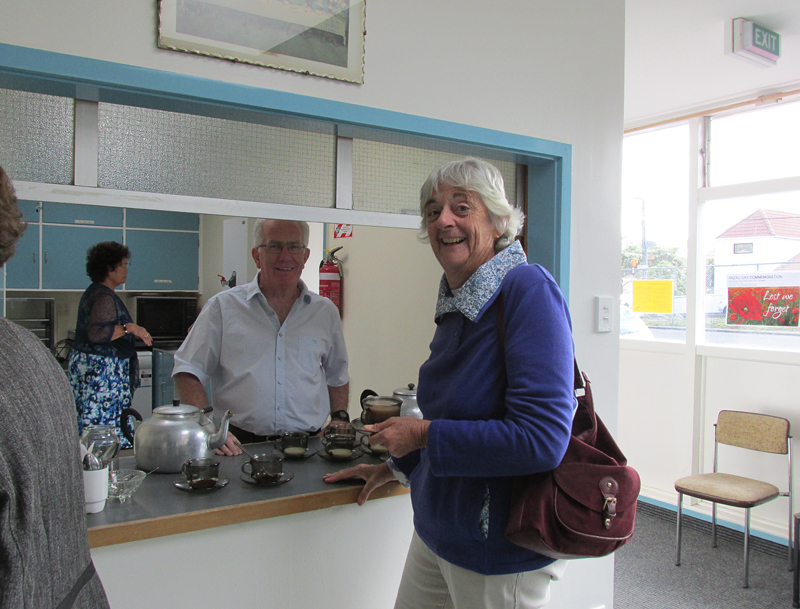 She joined the Hospice New Zealand Executive in 1987 and served as President in 1989 and 1990. After retiring as principal nurse in 1990, she took on various roles, including counselling, training and governance. 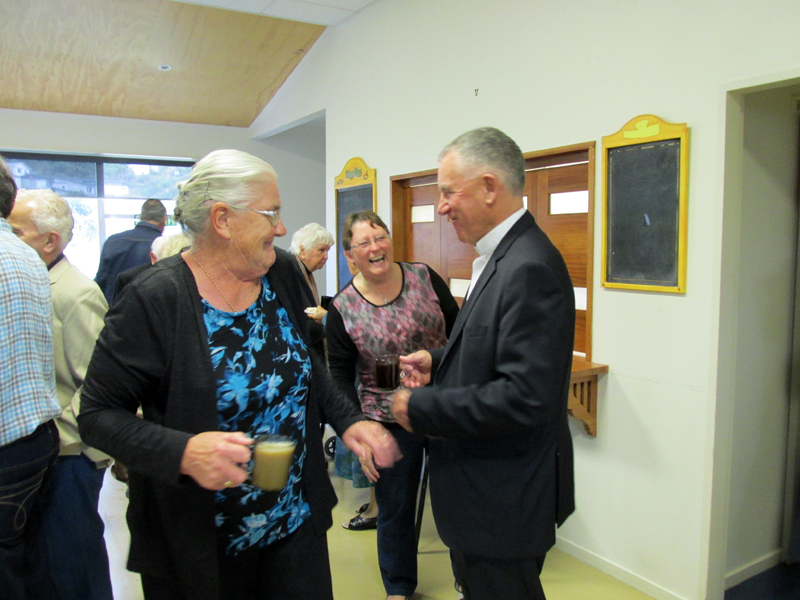 Sr Mary told NZ Catholic that her QSM award recognised 102 years of prayerful and loving service by LCM sisters to healthcare in New Zealand. 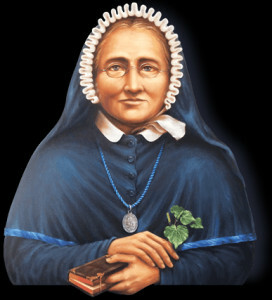 “Together we draw inspiration from the vision of Venerable Mary Potter, in her words: ‘We will watch and pray with the dying as Mary did on Calvary’.” Sr Mary said her award also honours the LCM sisters in the province of the Southern Cross (Australia, New Zealand and Tonga), who, despite age and infirmity, continue to pray, live and work in the spirit of Mary Potter. “My QSM is a huge honour for me from the country of my birth, she said. 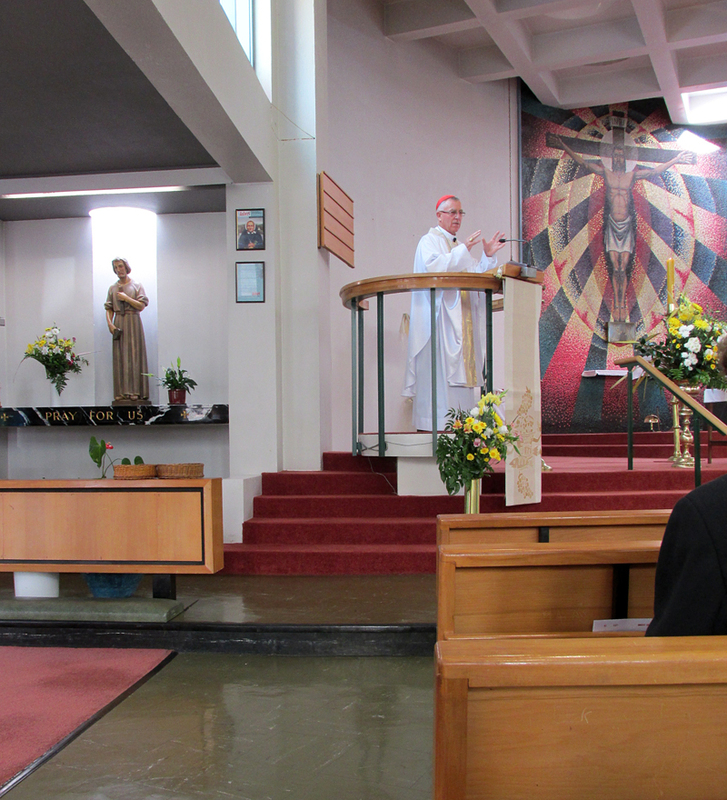 I am, as it were, the poster girl representing religious women who work tirelessly for the good of our neighbours, especially those sick, suffering, dying and in need.We do what we do cheerfully, knowing that we are also needy human beings.” Sr Mary said prayer has always been the backdrop of their care in hospitals, hospices and in the community. She noted the importance of the sisters’ daily prayer for the dying. 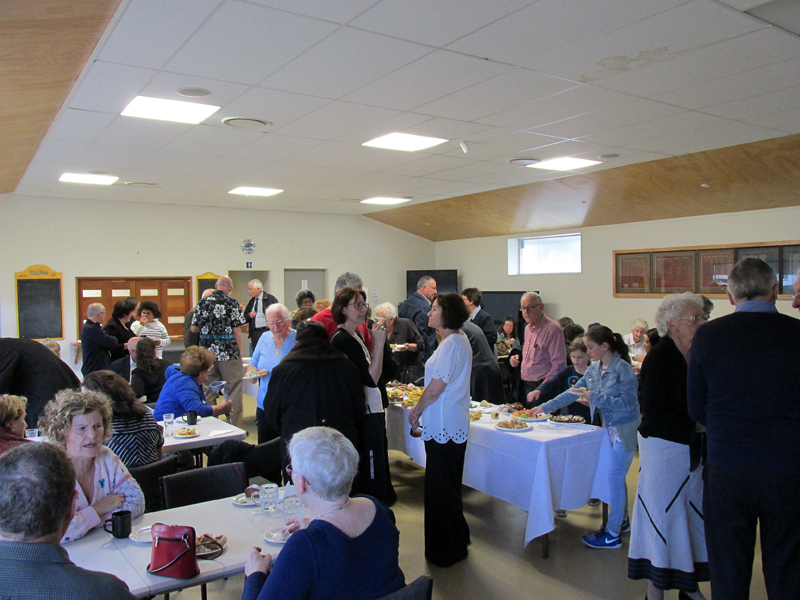 The light-filled Chapel at Our Lady’s Home of Compassion, Island Bay, was at capacity on the evening of 19th June with friends and well-wishers, both local and from as far afield as Jerusalem and Kaikoura. 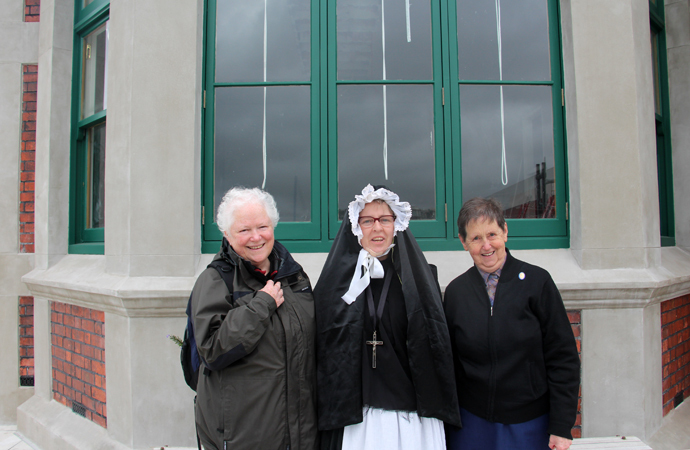 They were there to join with the Sisters of Compassion for a Mass to commemorate the 181st birthday of Suzanne Aubert, the inspirational woman who will be New Zealand’s first saint. 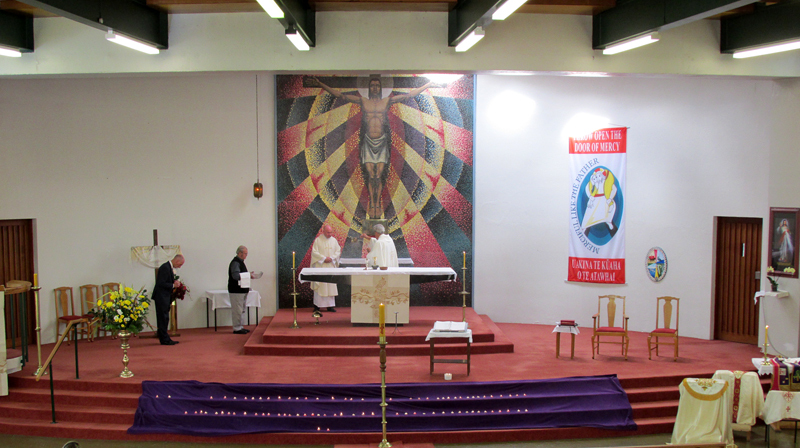 The Mass was celebrated by Cardinal John Dew along with Fr Maurice Carmody and Fr Rob Devlin. Cardinal John noted how Suzanne Aubert’s example still guides us today and how it was particularly appropriate to be celebrating her birthday on the Day of Prayer for Refugees and Migrants. 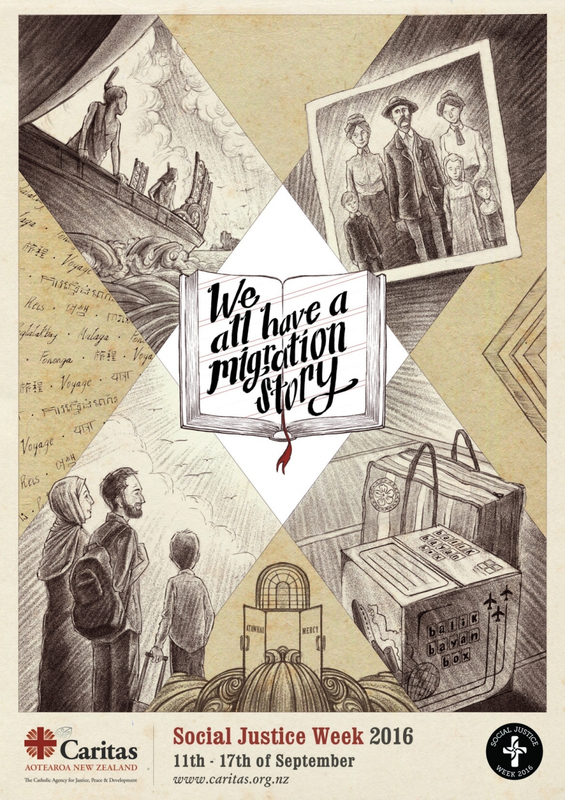 In her welcome, Sr Margaret Anne Mills said, “Suzanne knew the anguish of refugees as on her arrival in Rome in 1913 she was turned away from more than 40 convent doors. Suzanne also had a challenging time returning to New Zealand in 1920. 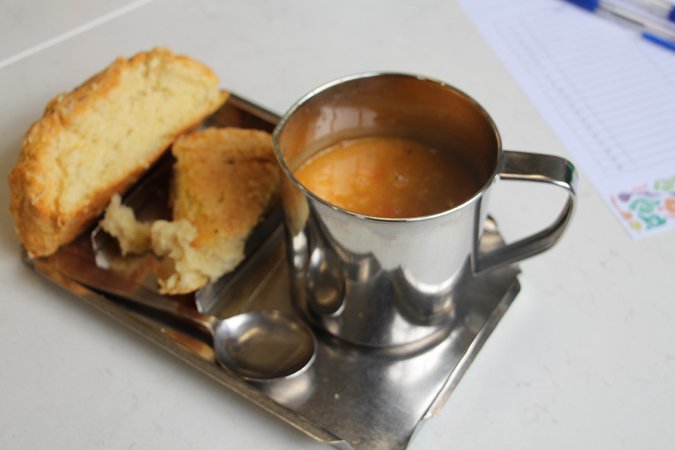 It took many months for her to obtain legal papers and a passport.” Supper followed the Mass and appropriately there were three choices of soup. 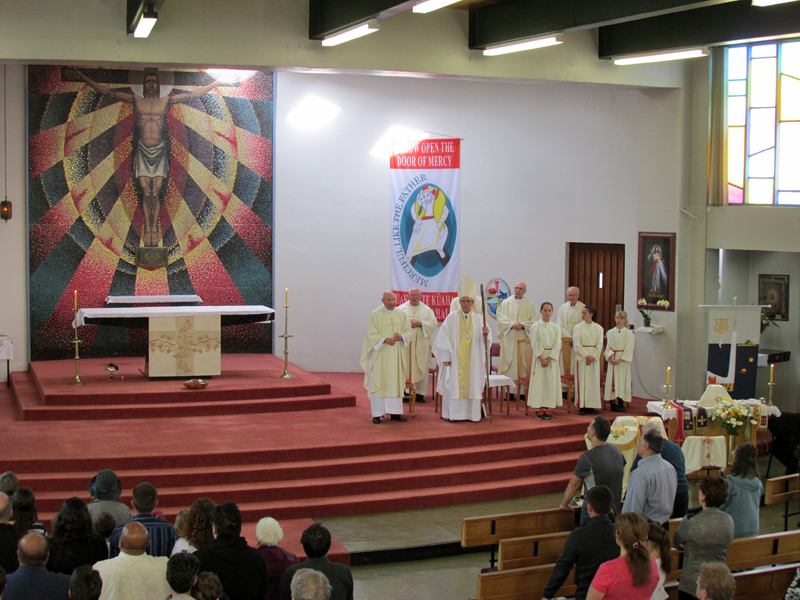 The Mass was the culmination of a day of events for the Sisters of Compassion and the Catholic Parish of Wellington South, which will take the name of Suzanne Aubert upon her beatification. 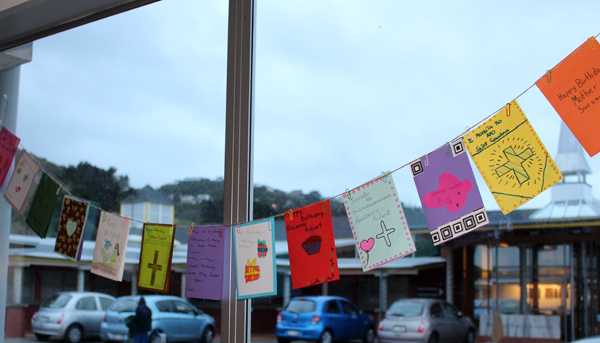 Birthday cards made by children from St Anne’s, St Bernard’s, St Joseph’s and St Francis de Sales, adorned the Home of Compassion bunting-style. 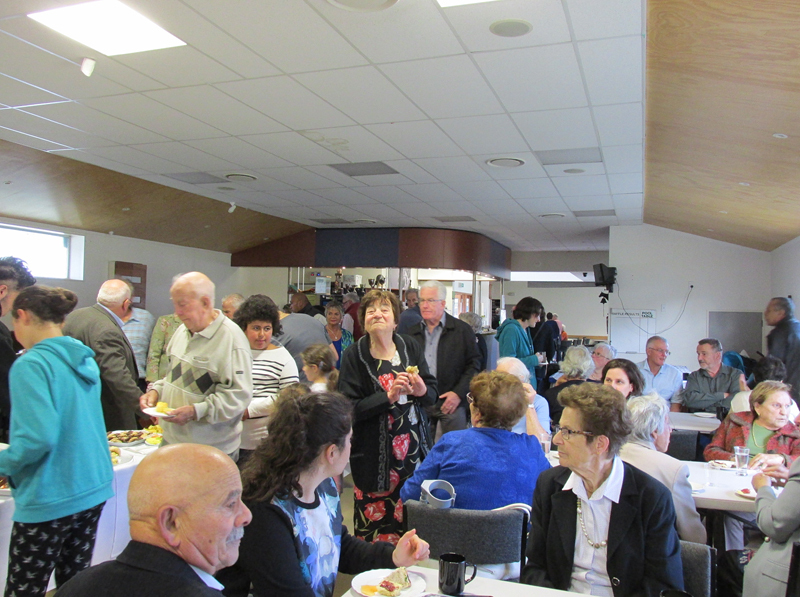 A large birthday cake was shared at morning tea in the four churches of the Parish and Happy Birthday was sung in the many languages of parishioners. 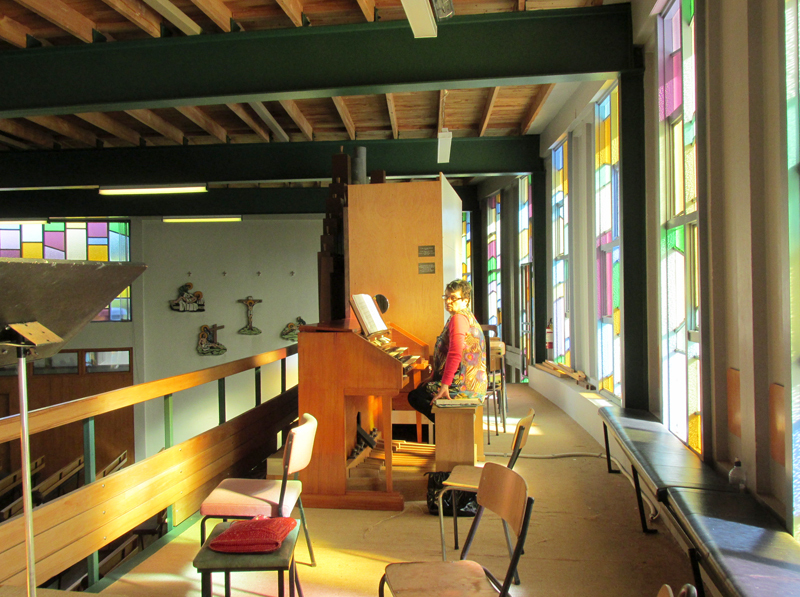 Later in the morning, a pilgrimage walk traced Suzanne Aubert’s earliest work in Wellington, which began when she arrived in Buckle Street in 1899. 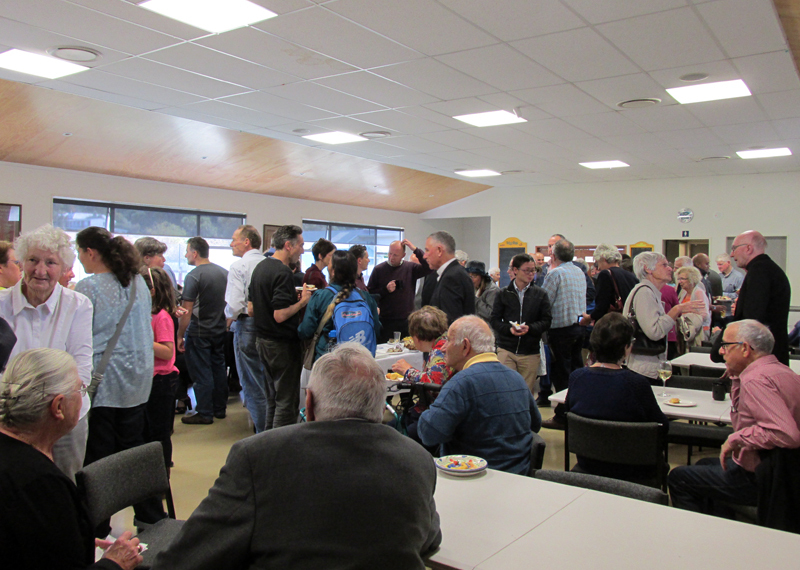 Beginning in the Suzanne Aubert Chapel at St Joseph’s Church, the pilgrimage stopped at the historic crèche in Pukeahu and finished at the Soup Kitchen in Tory Street. 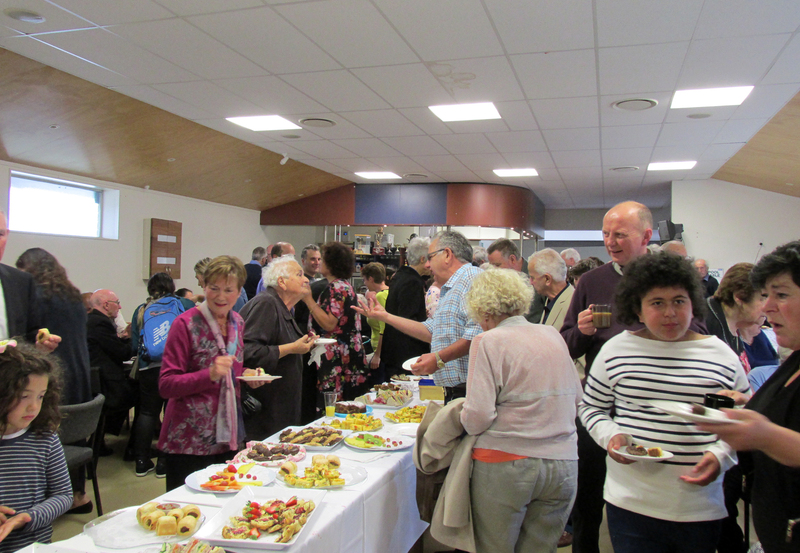 Soup and scones were welcomed by the walkers as they stepped out of the southerly into the warmth of the Soup Kitchen’s Open Day. 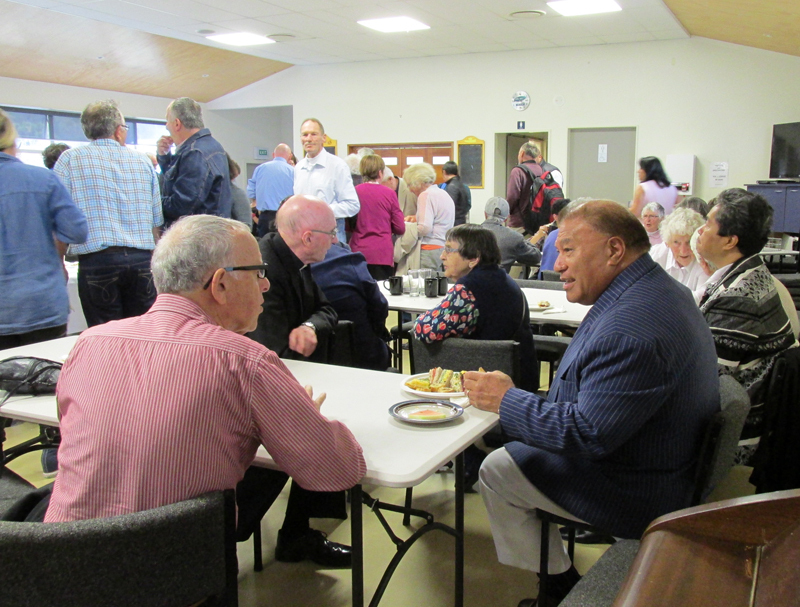 The Soup Kitchen was open to the public to markSuzanne Aubert’s birthday and 115 years of providing meals and support to those most in need in Wellington. 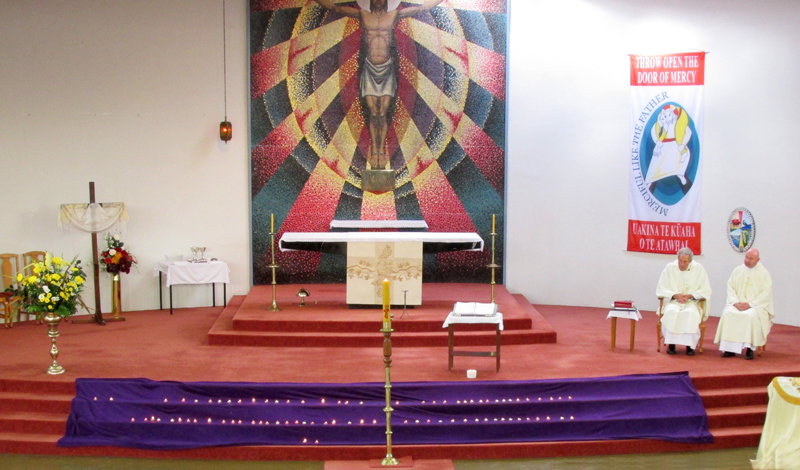 Sunday 19 June is a special day for our Parish. 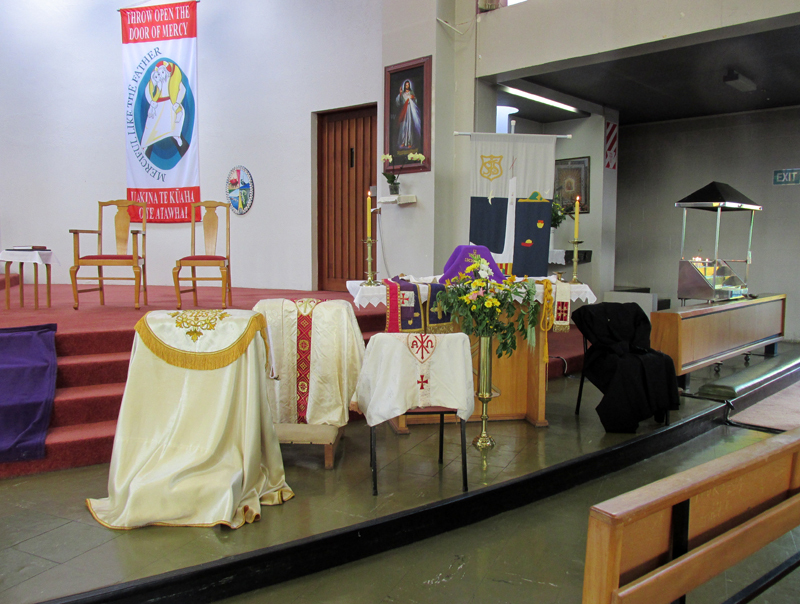 Wellington South is the Parish of New Zealand’s first saint in the making and we will take Suzanne Aubert’s name upon her beatification. Suzanne Aubert did much of her work in our Parish and she is buried here. All primary school aged children in the Parish are invited to make a birthday card for Suzanne Aubert. 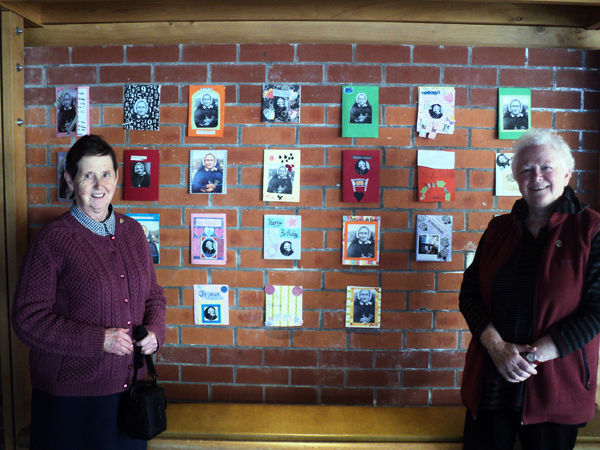 The birthday cards will be displayed at Our Lady’s Home of Compassion on 19 June. Activity sheets and a card are available in Church foyers this weekend. Collection boxes will be in church foyers until Sunday 19th. Our three Parish schools will also be making birthday cards. 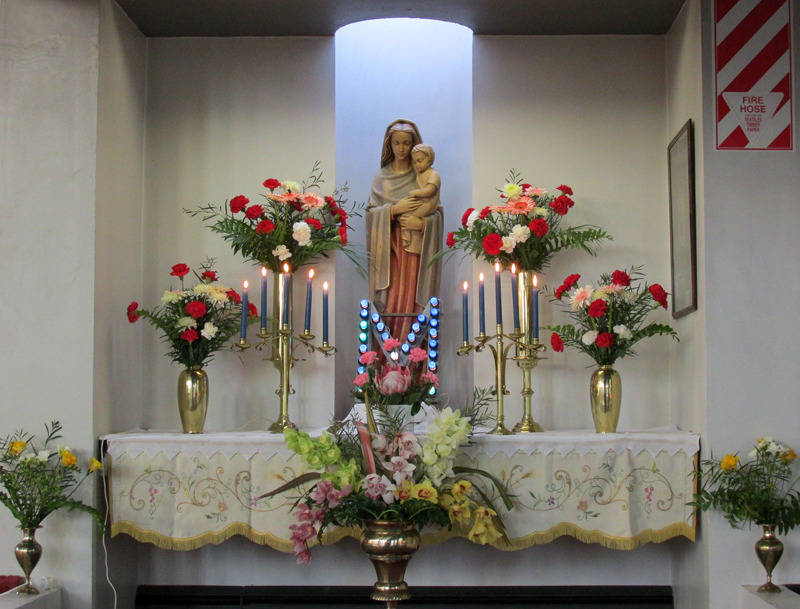 We will celebrate Suzanne Aubert’s birthday at morning Masses in our four Churches. 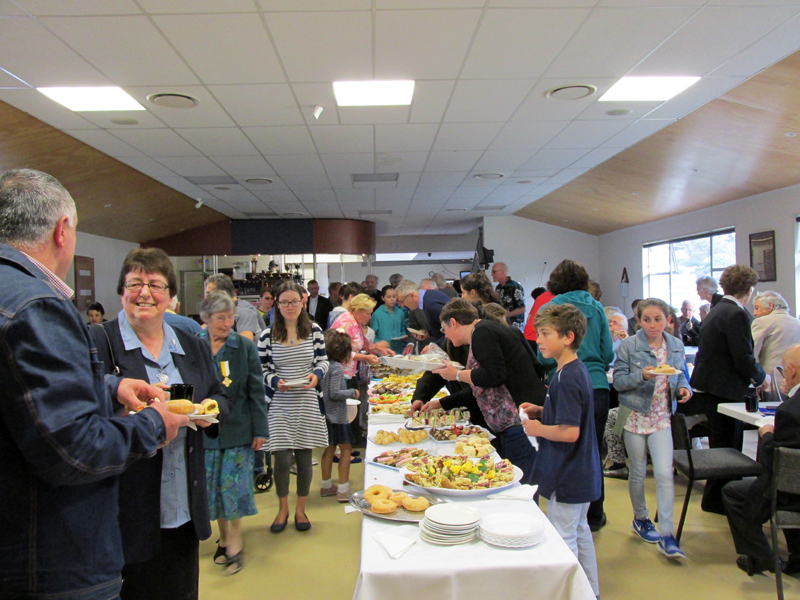 We will have the same Prayer’s of the Faithful, a specially prepared Children’s Liturgy and at morning tea there will be cake! 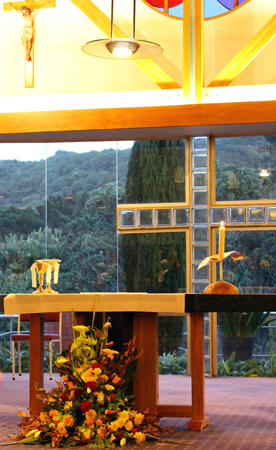 All parishioners are invited to gather in the Suzanne Aubert Chapel at St Joseph’s AT 11:30am after morning Masses. 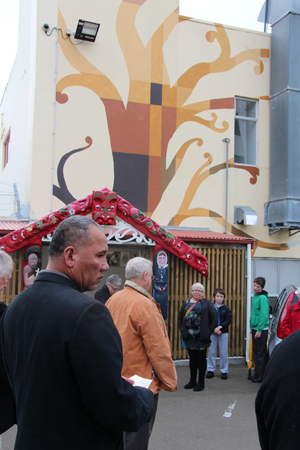 There will be a short time of prayer in the Chapel and we will then walk through Pukeahu, stopping at the historic crèche and continuing on to the Soup Kitchen in Tory Street for the Open Day. Soup will be available for $5. Final details will be in next week’s newsletter. 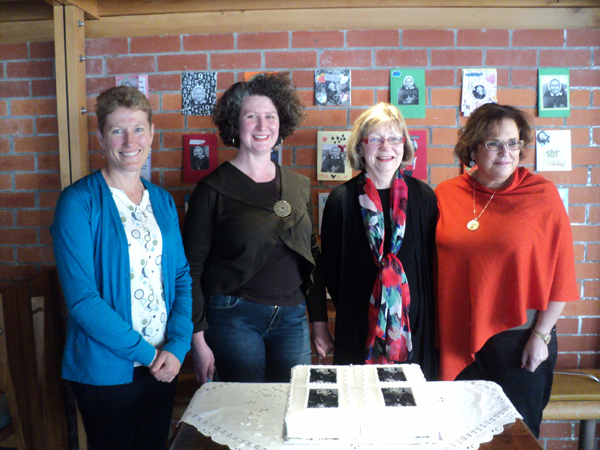 To celebrate Suzanne Aubert’s birthday the Soup Kitchen is hosting an Open Day on Sunday 19th June between 11am – 2pm. You’re invited to sample soup, learn about the history of the 115 year old organisation and find out about opportunities to get involved. Please bring cash. 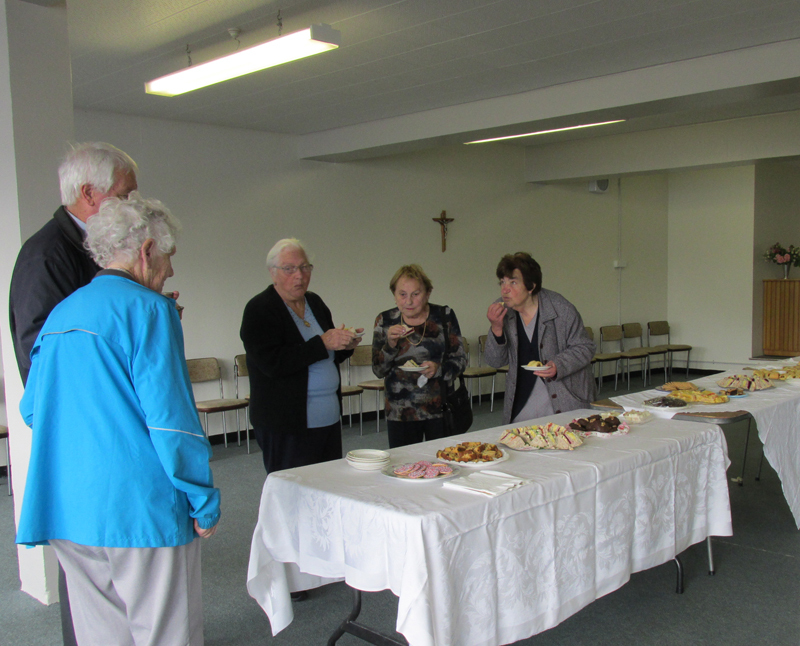 The Sisters of Compassion invite parishioners of Wellington South to a special celebration of Suzanne Aubert’s birthday. 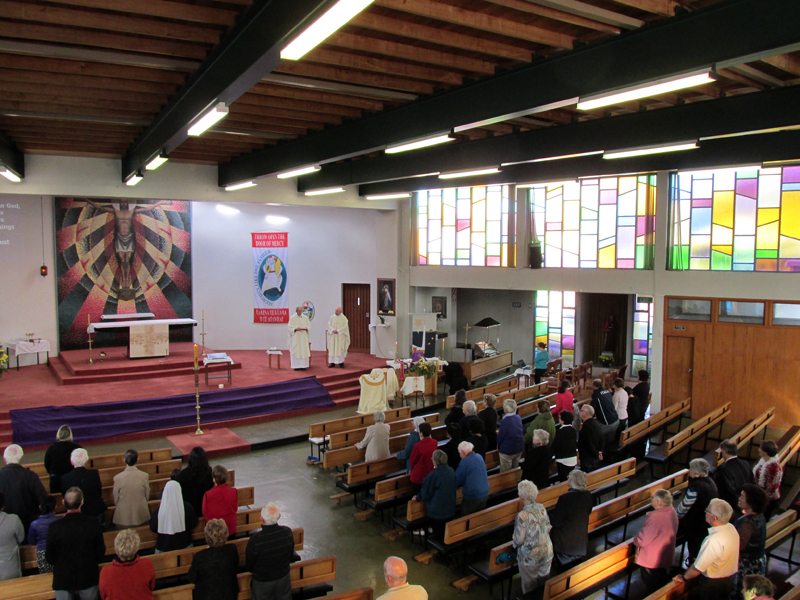 Mass is at 5pm in the Chapel of Our Lady of Compassion, 2 Rhine Street, Island Bay and Cardinal John Dew will preside. 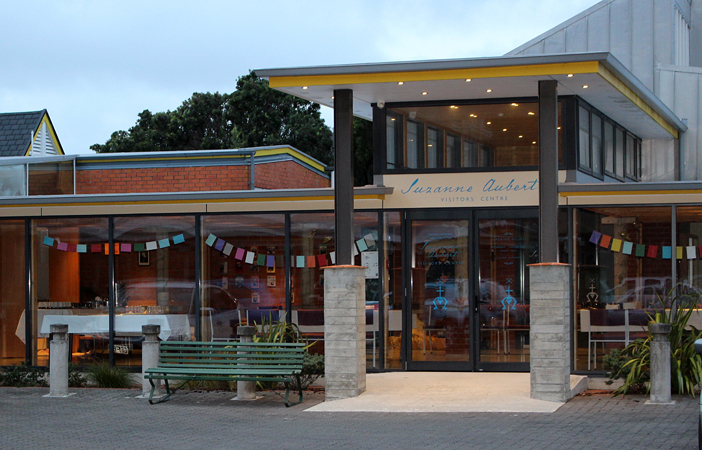 St Anne’s school is fundraising for the Soup Kitchen on 1 July with a Soup Kitchen for a Day. We will be making and selling soup for a donation, to the businesses and community in Newtown. We need cups and lids to serve the soup in. If you have a wholesale source or could donate these, it would help our cause–please get in touch at dee@st-annes.school.nz or 389 3705. 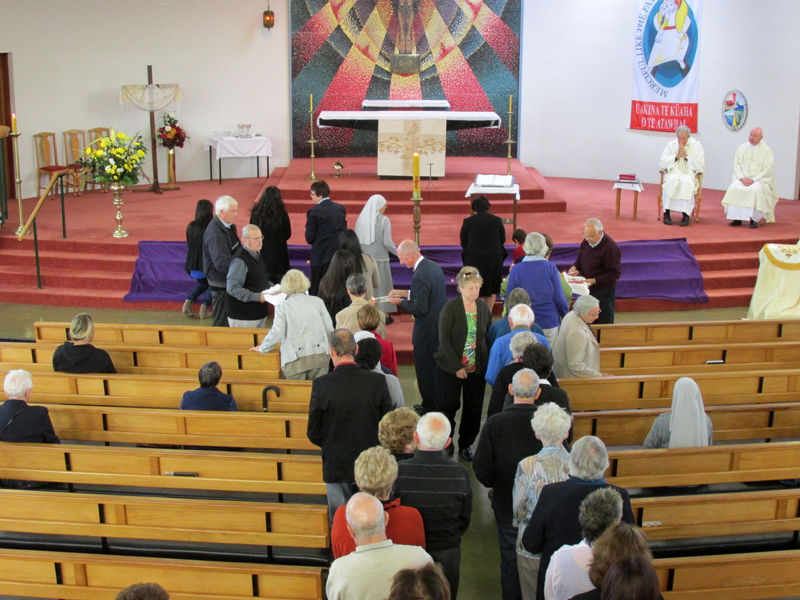 A special Mass was concelebrated on Sunday 17 April marking 50 years since the opening of the ‘new’ St Francis de Sales church in Island Bay and to thank God for the life of our faith community during the past 50 years. 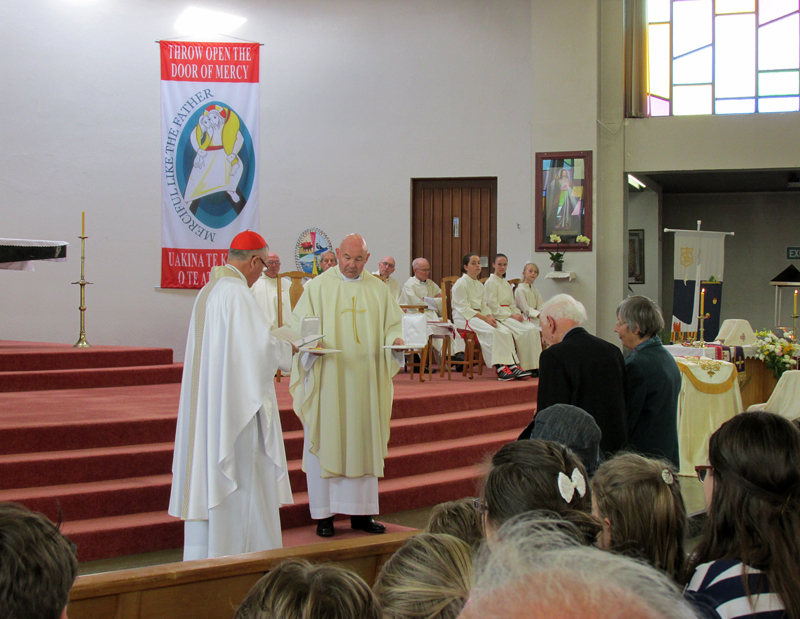 Cardinal John Dew led the celebrations along with Parish Priest David Dowling. 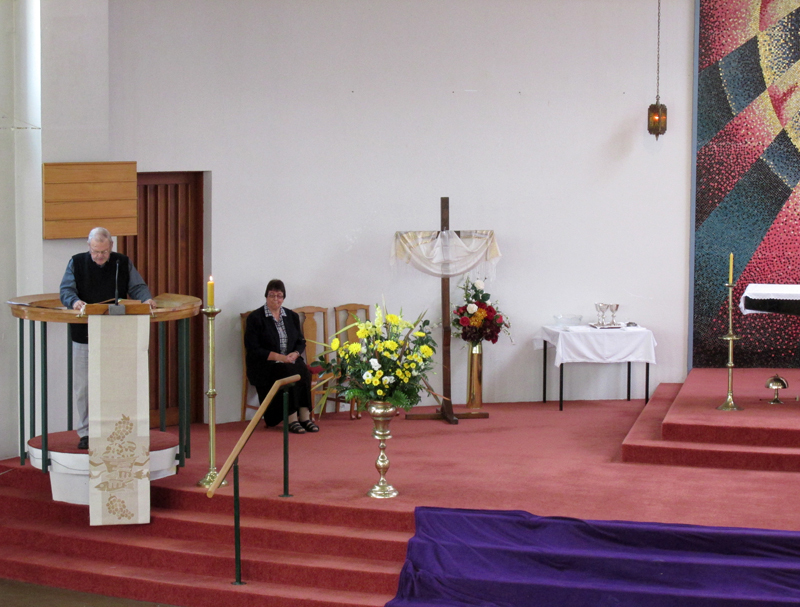 Also present were Fr Paul Shannahan SM, whose first appointment was to St Francis de Sales in 1965. 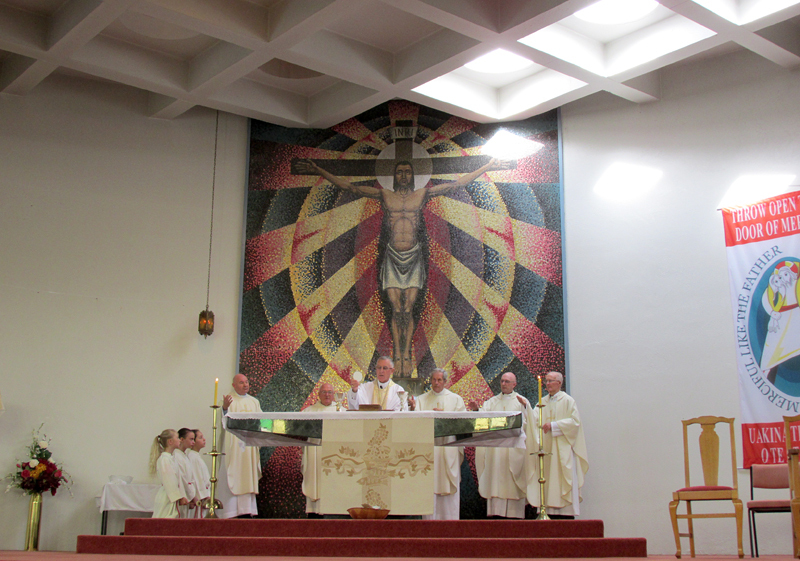 Fr Denis O’Hagan SM, the first priest to be ordained in the new St francis de Sales. 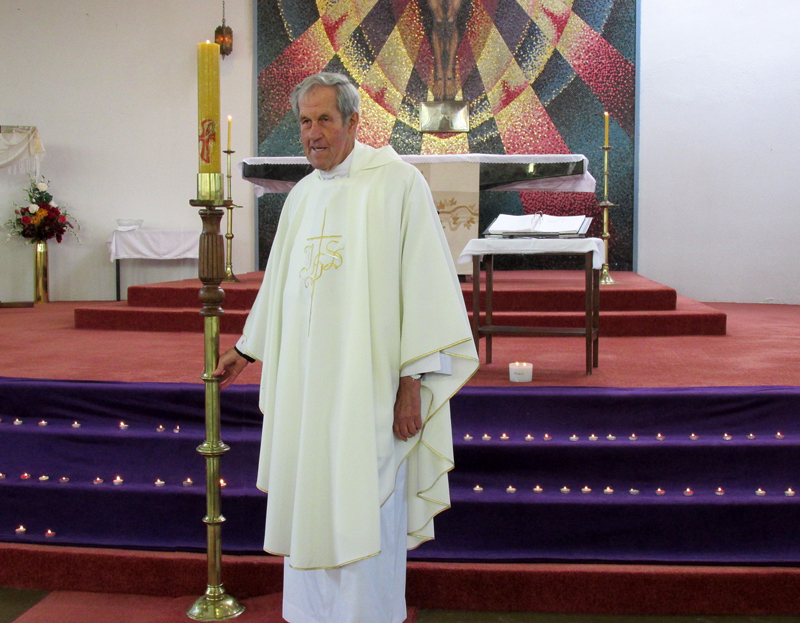 Fr Owen Sinclair, the first Diocesan Priest appointed to the parish and Fr Kevin Mears SM. 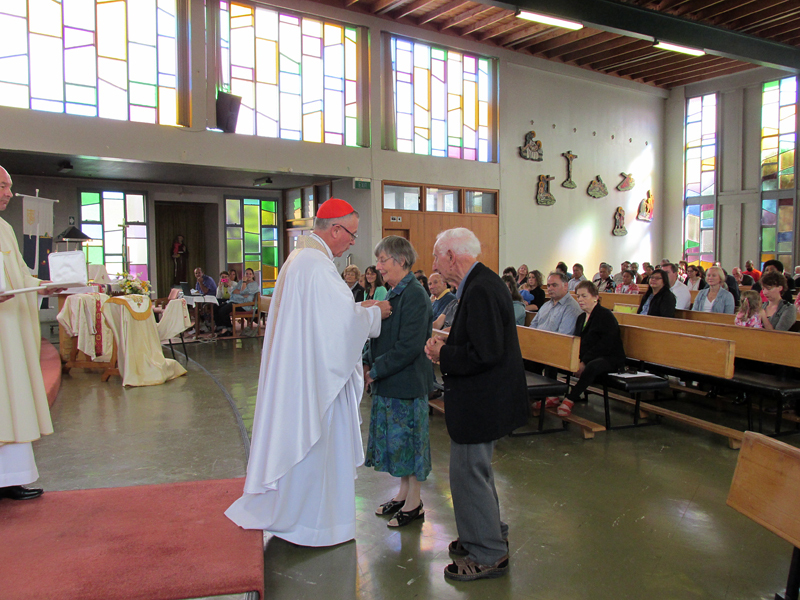 The prestigious Papal Honour, the Benemerenti Medal, was presented to Tony and Eileen Muollo during the Jubilee Mass. 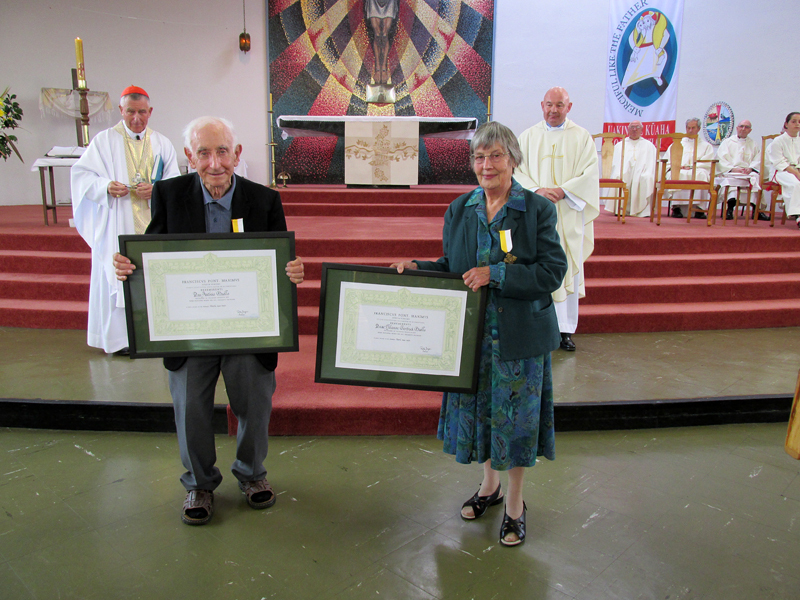 The award acknowledges the example of God’s love that Eileen and Tony have demonstrated in their commitment and support to each other, family, Parish and the wider community over many years of service. 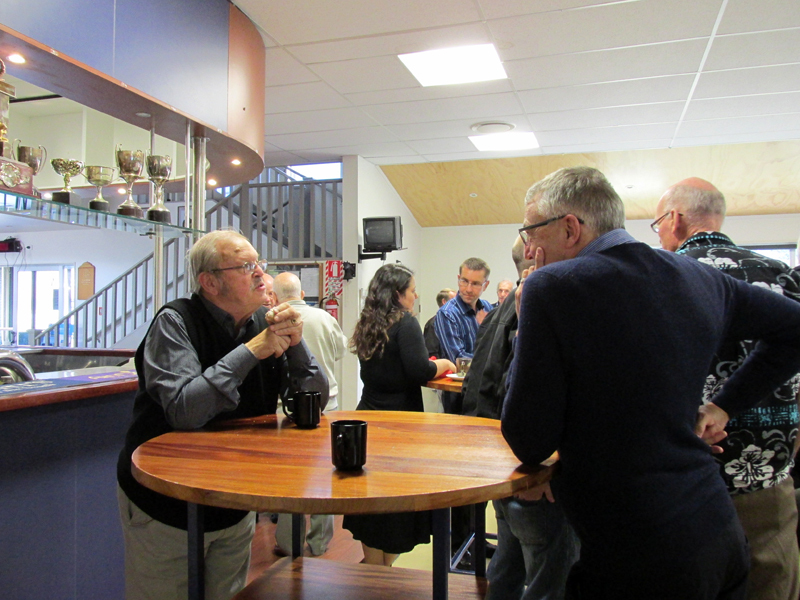 Past parishioners from around the country had gathered for the weekend. 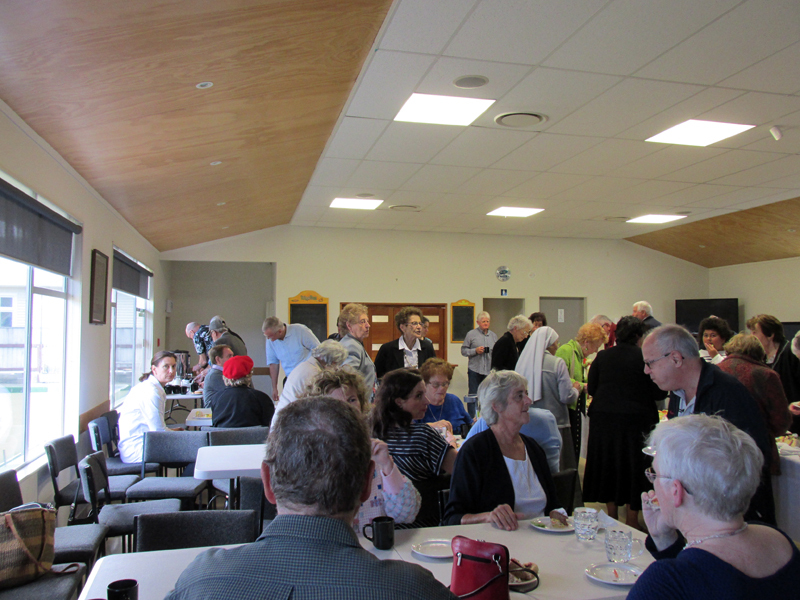 Following Mass there was an opportunity to catch up over morning tea at the local Bowling Club. 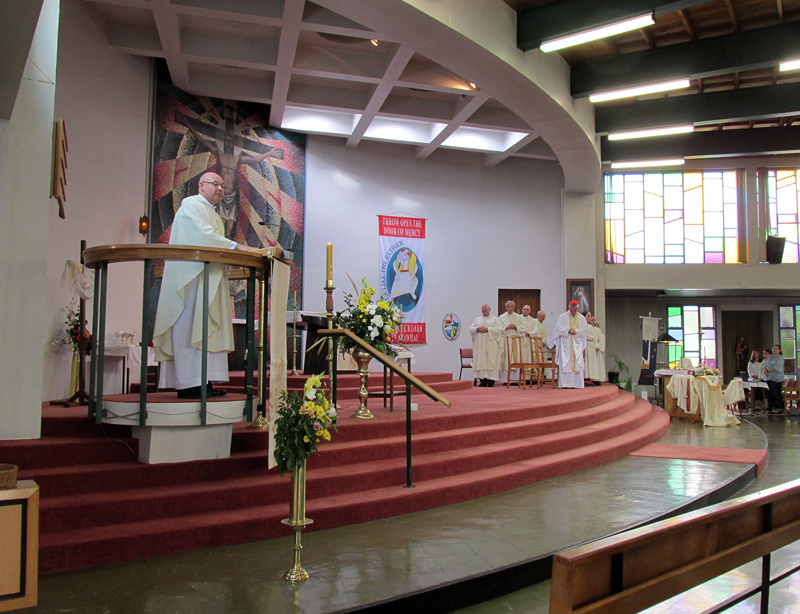 The St Francis de Sales community celebrated the Golden Jubilee of the Church during the weekend. 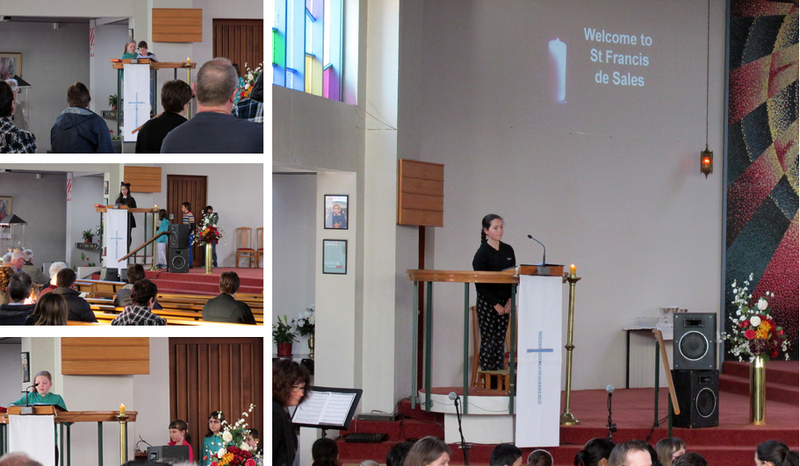 The commemorations began on Saturday morning. 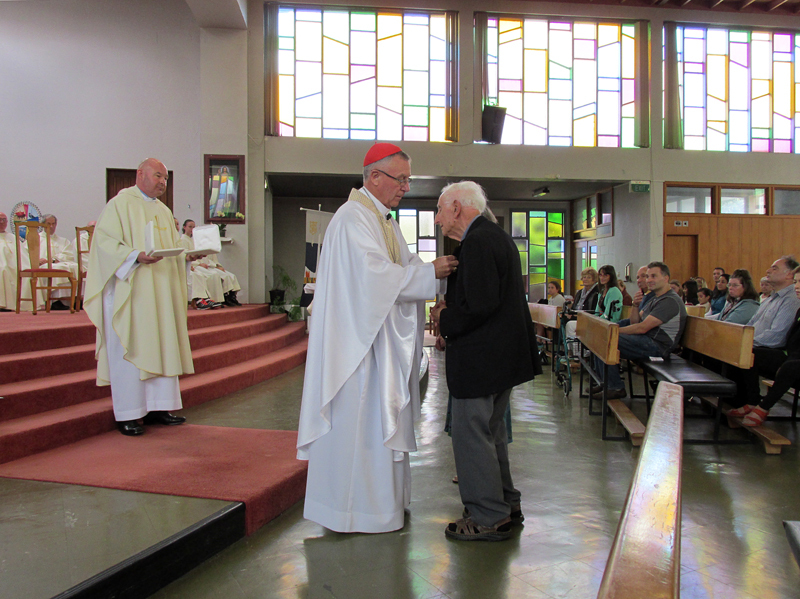 Fr Paul Shannahan SM, whose first appointment was to St Francis de Sales in 1965, came from Akaroa to preside at a Memorial Mass to pray for deceased parishioners, benefactors, relatives and friends. 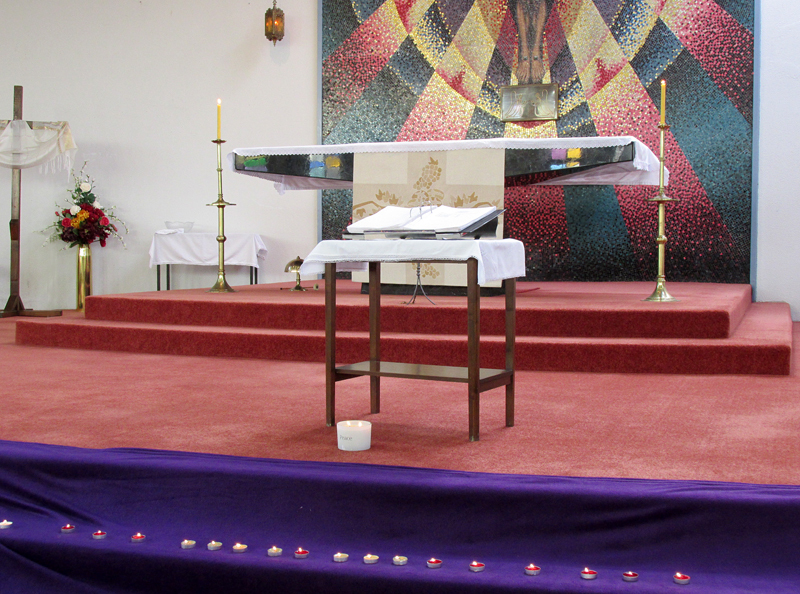 The Memorial book with the names of all those who have died was placed before the altar. 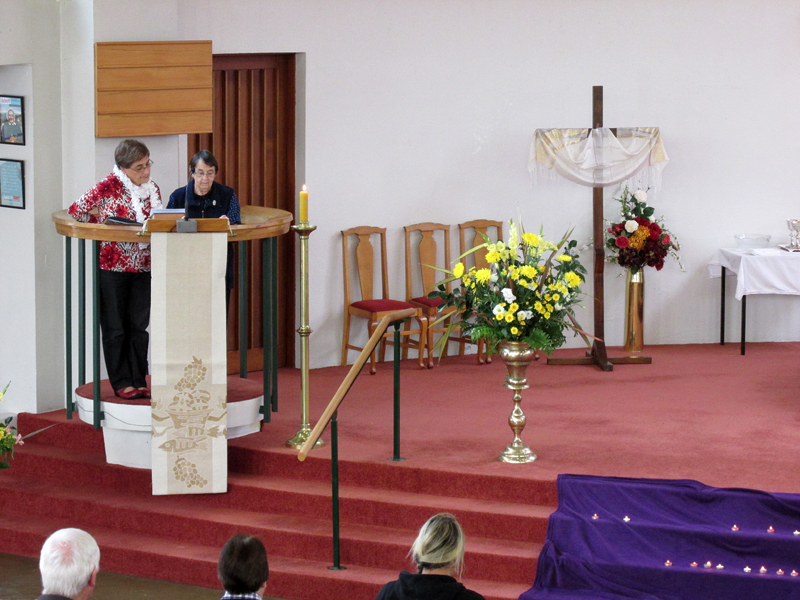 Parishioners were invited to come forward and light a candle in memory of family and loved ones and place it on the steps of the altar.